"Saving the Little Planet, one flower at a time." Nice pic! It deserves more comments! 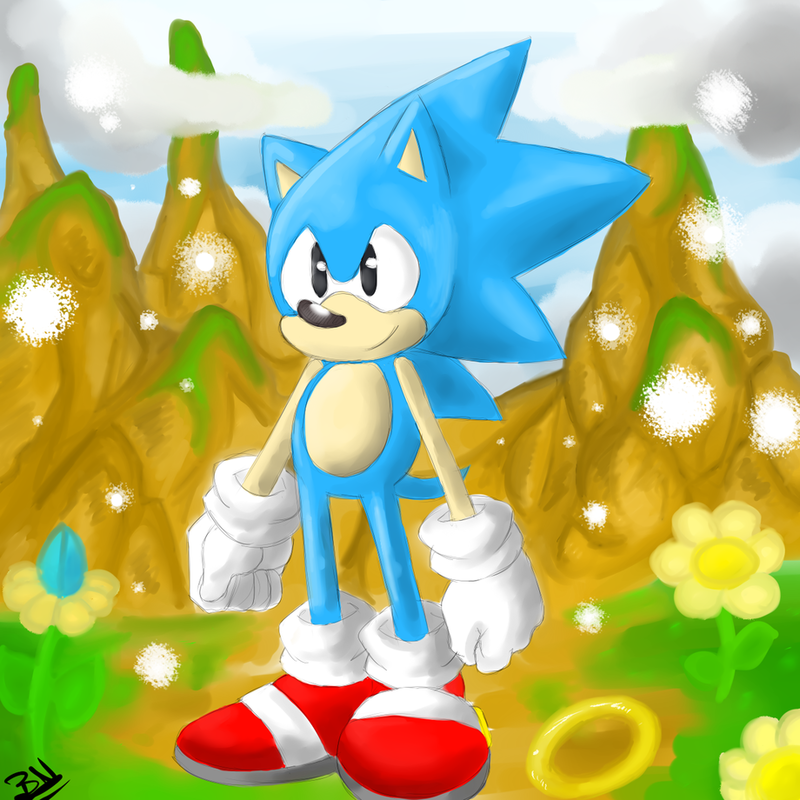 I like how Sonic was drawn, his expression, the clouds in the background and the flowers! The mountain really adds to the great visuals! Once again, nice job!